We strongly recommend that all rabbits, whether they live outdoors or indoors are vaccinated against Myxomatosis and RHD and the new RHD2 vaccination. We will need to see proof of all vaccinations, Without the proof they will be unable to board. I have to protect not only the other rabbit's that board with us but our own sanctuary rabbits as well. ( PLEASE NOTE WE ASK A MINIMUM OF 5 DAYS BOARDING AT THE BUSY TIMES OF YEAR SUCH AS BANK HOLIDAYS, EASTER, CHRISTMAS AND MAIN HOLIDAY TIMES IN SUMMER FROM MARCH TO OCTOBER. 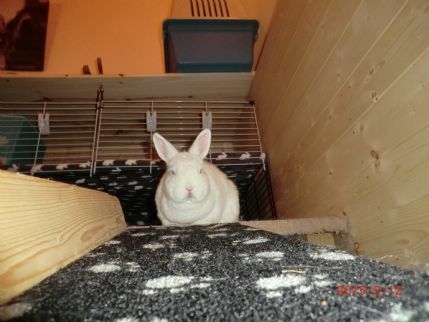 I myself have 30 years of experience with rabbits, besides the boarding we also have 23 rescue rabbits of our own some with special needs and I have a Credit in Animal Behaviour. We love rabbits they are our passion and your rabbit or rabbits will be just as important as our's and looked after and cared for just as well. 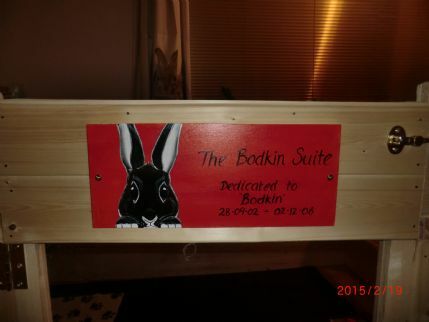 We have 3 bunny Suites indoors for Houserabbits and 'Keegans Kabin' a 20ft x 10ft shed with 5ft x2ft x 2ft hutches and play pens for outdoor buns. We have air conditioning in the Summer and heating in the Winter, fly screens at the windows. We supply tunnels and toys for your bunnies while they holiday here all you bring is your bunny/bunnies and their favourite toy or blankie. 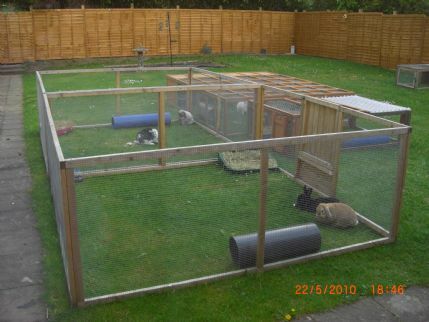 We have lovely large rabbit runs in our large garden and the shed has play pens in case of bad weather they can still play out. 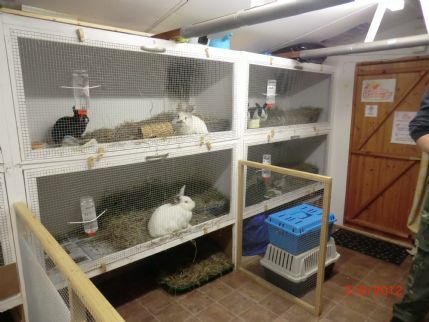 Indoor rabbits have an indoor cage in a play pen and can remain out all day and night in their pen if you want. 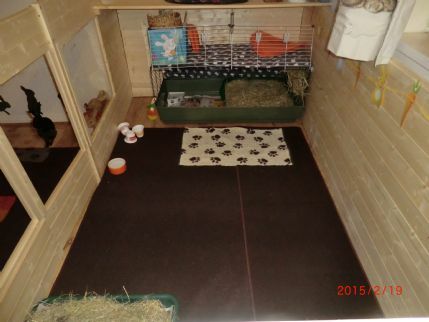 All bunny suites and hutches and toys and tunnels are steam cleaned and disinfected inbetween boarders. We have experience with most rabbit problems and can syringe feed and do injectable medication when needed. We also have CCTV so we can keep our eye on any rabbit that we think maybe ill.
will be unable to board. I have to protect not only the other rabbit's that board with us but our own sanctuary rabbits as well. We ask for a minimum of 5 days between our busiest months March to October. 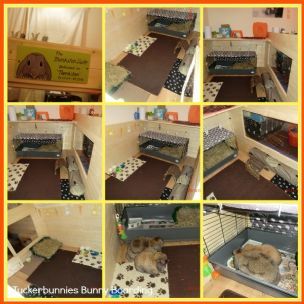 Once again we thank Tuckerbunnies for looking after our bunnies so well and with so much dedication. Cannot recommend them highly enough, caring, accommodating, knowledgable and totally trustworthy. We know our bunnies will be well cared for and are so happy to know them. Thanks Maysie and Mike for such great care of my bunnies, they have great knowledge of healthcare for rabbits and are dedicated to helping bunnys in need. I was really comfortable leaving them in great hands and the provide really excellent spacious, clean accomodation for them to happily potter around with lots of nice toys to keep them happy. Such lovely people with a great deal of rabbit knowledge. 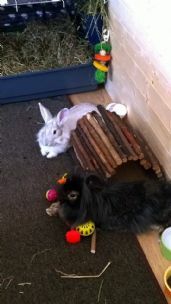 We have just picked up our 4 bunnies and they looked very happy playing with tunnels and were kept very clean. we are definitely using them again. Ours are outdoor bunnies, Netherlands. Excellent bunny boarders! Bobby bun bun came into my life last Christmas being my daughter jade's house bun from uni! I was immediately smitten, and have adored him ever since. He came back here in May for the summer, and I clucked round him like the proverbial mother hen. We had two weeks holiday booked for September, and I suddenly thought " who's going to look after Bob? As in my mind no one will look after him like myself. I asked at my vets if they knew of any were and they didn't. 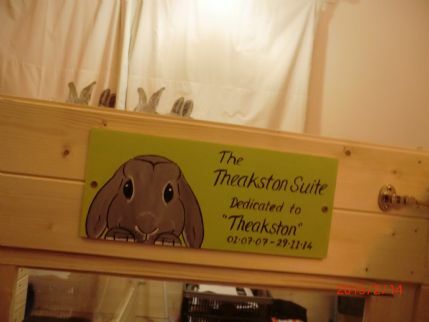 I googled small pet boarding and up sprang Tuckerbunnies! I read all the reviews and thought " yes" sounds perfect. I arranged to meet Mike & Maisie with my daughter Jade. To say they are fantastic people is an understatement. They are phenomenal! To repeat what other people have said they " do" live and breathe all things bunny. They took the time out of their busy schedules to show us round, answer any questions and reassure us that Bob would be treated as one of their own. They have rescue buns, Iii buns, their own gorgeous buns, and of course other peoples buns. At the end of our visit I had no qualms about Bob staying there. I went to pick him up last sat, and Mike & Maisie had even taken the time to do a little file of what he'd eaten, what they'd used in his litter tray etc etc. I am so lucky as Mike & Maisie only live about 10 miles away from me. I'm very new to being a bunny grandma, but if ever I need any advice or reassurance I know I can count on Mike & Maisie. 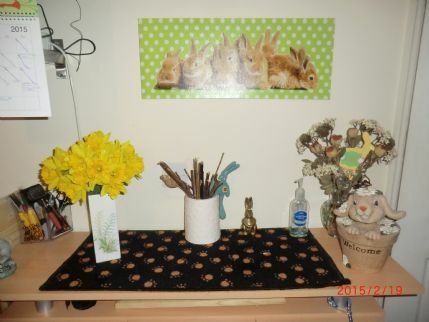 Bob is now living with me as Jade's room at uni is too small ( oh goody ðŸ˜ƒ) tuckerbunnies is not just 5 star, it's a definite 10!!!! We ALWAYS use Tuckerbunnies for our 2 house rabbits (Panther and Harry) Mike & Maysie are fantastic animal lovers and what they don't know abour rabbits and their wefare wouldn't fill the back of a stamp. We always trust Tuckerbunnies with our bunnies and wouldn't send them on their holidays anywhere else. I cannot recommend this place enough. I have just picked up my two house rabbits from their first time boarding there, but definitely not their last! 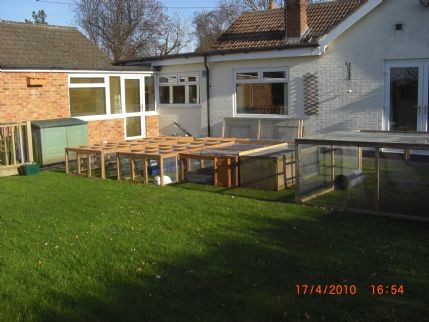 It was very clear that both Mike and Maisey are passionate about rabbits and that my two had been well cared for. It is so reassuring to have found somewhere where I don't have to worry about how my bunnies are getting on. Wonderful people and wonderful boarding . My girls have just spend 2 weeks at Tuckerbunnies, I would not send them anywhere else.Mike and Masie are wonderful people and adore their annimals.Their rabbit knowledge is excellent, very caring and dedicated people.Thanks you for taking such good care of the girls again. We recently boarded our buns Daisy and Harry whilst we took a long trip to new Zealand, so they were there for nearly a month. I cannot fault the love and attention they got whilst staying at Tuckerbunnies. When ever we decide to go away I would not hesitate to leave them there, it is so good to have somewhere to leave them whilst away and know they will be very well looked after. Mike and Maisie are wonderful caring people. 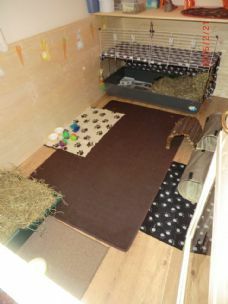 They look after their own and the boarding rabbits brilliantly.What experts they are.if I had a rabbit related question I would not hesitate to ring them. 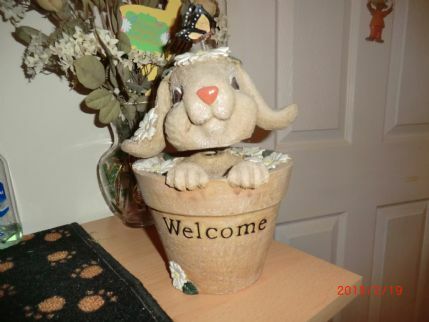 Chester our bunny has just returned from his holidays at Tuckerbunnies and had a wonderful time. We have been on holiday knowing Chester was being loved and cared for.Thank you so much Mike and Maisie. To say that Tuckerbunnies is outstanding is an understatement!! 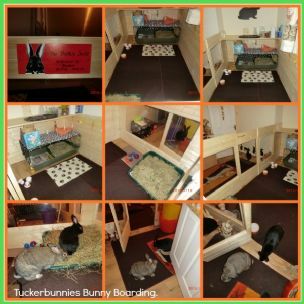 It took my wife and I a long time to find suitable boarding for Nibbler our bunny but from the moment we walked through the door at Tuckerbunnies we knew that this was the place for him. It was evident that they were extremely passionate about bunnies and would treat Nibbler as their own. They have extensive knowledge about all bunny related issues and know as much as most vets. 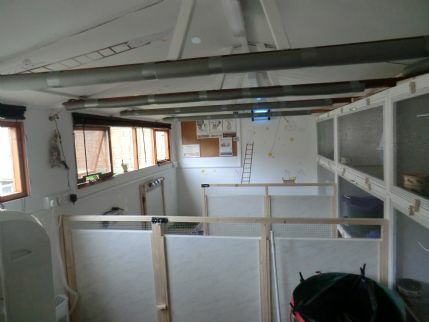 They are highly skilled in looking after sick/injured bunnies and are always prepared to go that extra mile for them. 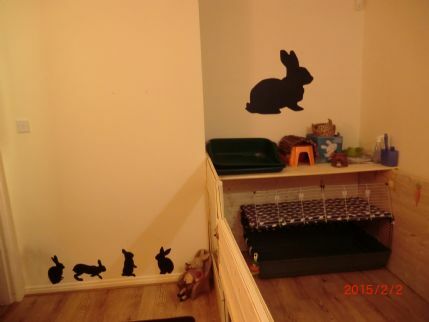 I'm sure that there are other bunny boarding facilities in the area but I can safely say that they would not be a patch on Tuckerbunnies! Tuckerbunnies allowed us to relax whilst away knowing that our bunny was in safe hands and having as much fun as we were. Due to this along with a raft of other reasons is why we have used Tuckerbunnies 3 times this year and will continue to use them as long as we have bunnies. Don't waste time looking for other facilities, give them a call and arrange a visit and you will see for yourself. I was looking for a home from home place for my two girls when i came accross Tuckerbunnies.On arriving Mike and Masie were very friendly and as we chatted about rabbits it was obvious that the knowledge they had was excellent.The cabin was heated and air conditioned and the cages were of a good size.Mike and Masie live and breathe rabbits,the welfare of your rabbit and indeed their own is paramount to them.Also while we were away on holiday,Mike and Masie sent me e mails including photographs of the girls to reassure me that they were doing well and were very contented,this put my mind totally at ease. 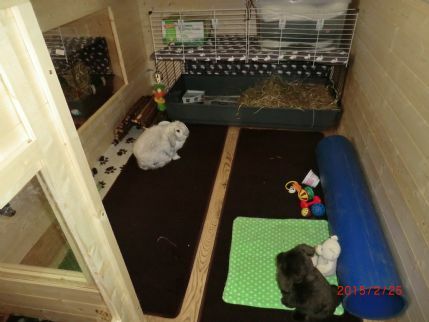 So if you are looking for somewhere to board your rabbits and have peace of mind,I cannot recommend Tuckerbunnies highly enough. Mike and Maisy who run tuckerbunnies are the most dedicated animal lovers that I have been lucky to meet and care for my rabbit Patch with such passion and knowledge Our rabbit Patch now gets excited every time she sees her carrier thinking she is off on her holidays , however gets rather grumpy for a few days with me if it was only a trip to the vet and not to stay in rabbit heaven at Tuckerbunnies !!! Going on holiday is always now so much more pleasurable and enjoyable knowing Patch is in the best hands and knowing they have the experience to deal with any medical emergencies if they happened , just wish I coud find some where as dedicated to care for my cat as well as they do for my rabbit. My bunnies Teddy and Toffee have just come back from their holidays with the Tuckerbunnies. They didn't want to leave! They had a lovely spacious indoor enclosure, and were given time out in the garden when possible. I could see when I dropped them off the care that Mike and Maysie give to their rabbits. I could tell Maysie had spent time with them, as my Ted is a very skittish bun, but he was approaching her in a way that was, for him, a show of trust. Now I have to convince them that I'm a nice mummy again! All in all, I am glad I made the journey to Tuckerbunnies for my rabbits' holiday, and I will definitely use them again. Ted and Toffee deserve the best, and they get that with Mike and Maysie. We have two house rabbits and we searched high and low for a safe, happy holiday getaway for them last year. We couldn't believe our luck when we came across Tuckerbunnies. 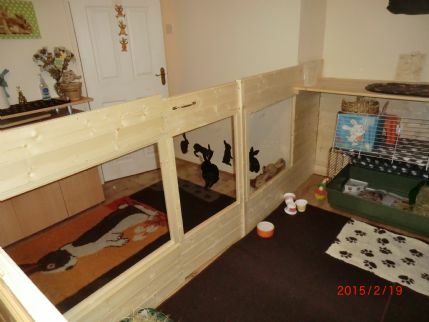 Our rabbits have a beautiful indoor pen when they go to stay there which is really spacious and comfortable. Maysie and Mike are so attentive and I actually think the buns are sad to come home after a visit! Their pen is kept impeccably clean, they are played with and groomed, at Christmas they got little stockings and presents, they are chatted to all the time and the radio is even left on for them with soothing music. It is literally bunny heaven. We know our bunnies are in the best and safest place possible when we go away and we even get updates on how they are getting on. This place is a 5 star bunny hotel! We cannot believe there is anywhere better for bunnies to stay. 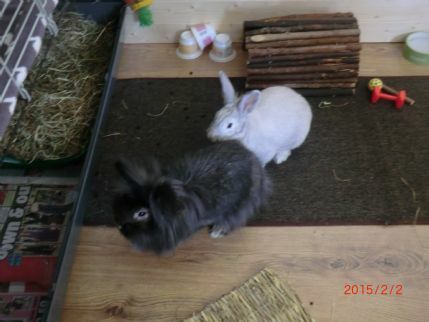 We did consider ourselves as very experienced rabbit owners – that was until we met Mike and Maisie at Tucker Bunnies. They have an amazing wealth of knowledge in rabbit health and care. But more importantly than that they clearly love and care for every rabbit they are entrusted with. We have two house rabbits and our female is currently suffering with significant health problems. We had considered not going on holiday at all as we did not think we would find anyone suitable to care for her. Within a few moments of meeting Mike and Maisie we knew we would have no problems leaving our beloved rabbits with them. 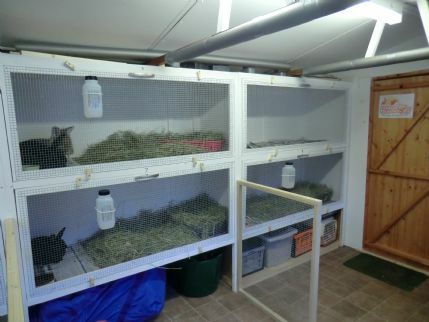 The tour of the rabbit housing showed immediately how much they care. 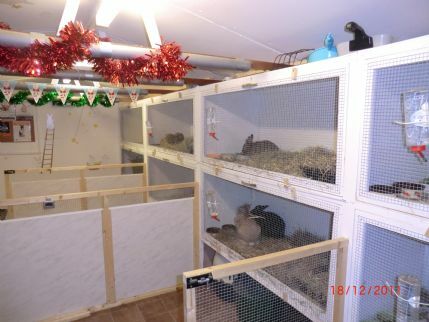 The housing has heating, cooling and even CCTV to monitor sick rabbits. Mike indicated that they would syringe feed throughout day and night if it should be necessary. They are extremely experienced in administering medication and have lots of alternative ways to encourage sick bunnies to eat. We can honestly say that for the first time ever, we were able to go on holiday without worrying about our rabbits. Mike and Maisie are an amazing couple and their care and facilities are second to none. 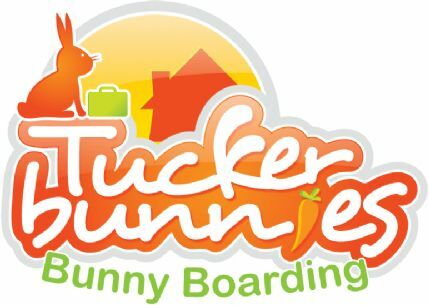 Buttons and Snow White have been boarding with Tuckerbunnies for over 2 years, and stay at least 6 times a year. The care and attention provided by Maysie and Mike is outstanding. 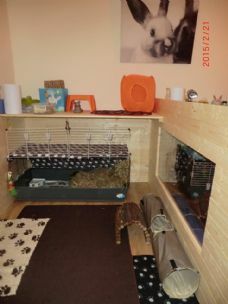 My bunnies board in the indoor boarding suites which are of a very high standard. Every aspect of my bunnies needs are thought of and provided for. It is without doubt 5* luxury accommodation. I have absolutely no concerns whilst I am away, I know that lots of attention will be given to my bunnies. Maysie and Mike know them as well as I do and keep me informed of everything they have been up to whilst I have been away. 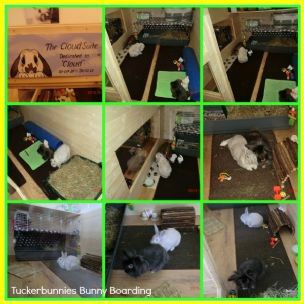 I have seen all the boarding facilities at Tuckerbunnies and all parts are wonderful, you could not send your bunnies to anywhere better! Mike and Maysie devote themselves to caring for bunnies and work very hard to provide the best care possible. 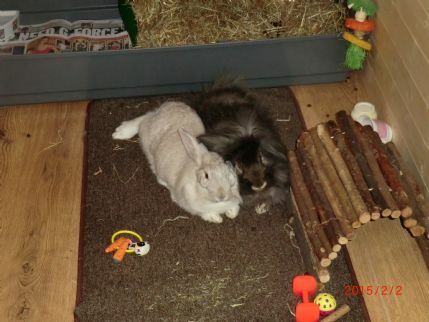 My bunnies are always very happy and settled with them and I have absolutely no hesitation in recommending Tuckerbunnies! 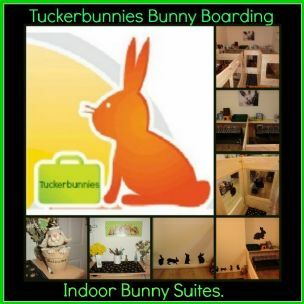 I’ve no hesitation in recommending Tuckerbunnies for quality rabbit boarding! My two live wires, Jeff and Lexi, have been holidaying with Maysie and Mike for around 18 months now and nothing is too much trouble for them – well worth the drive from York. 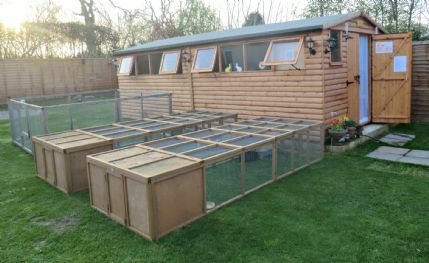 When at Tuckerbunnies, they have a hutch and large playpen in Keegan’s Kabin and a good run around on the grass in the lovely big pens Mike has built whenever the weather allows. With the space they have, the toys and tunnels, the attention to their diet and the attention and love from Maysie and Mike themselves, they have a whale of a time! I have absolute confidence in leaving Jeff and Lexi with Maysie and Mike – knowing the lengths they go to with caring for their own rabbits (several of whom have medical problems) and their huge experience of treating illnesses or complications, I know that if there was a problem with either of my own rabbits whilst boarding with them they would not only spot it quickly but do everything they could to treat them. I’d trust them completely to decide on the best thing to do for them if a problem arose. 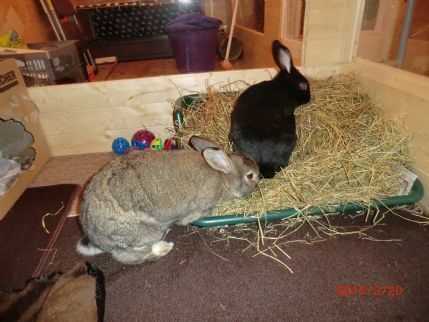 Maysie and Mike have also been happy to help when I’ve had concerns about Jeff and Lexi at home – being a novice rabbit owner it’s great to have such friendly experience just a text/email/phone call away. All in all, I can’t say enough good things about Tuckerbunnies. 5 stars from me! Well what can i say except 5* bunny hotel! I have 2 outdoor buns Flopsy & Flora who have been boarding at Tuckerbunnies for a good few years now. I couldn't recommend it enough. 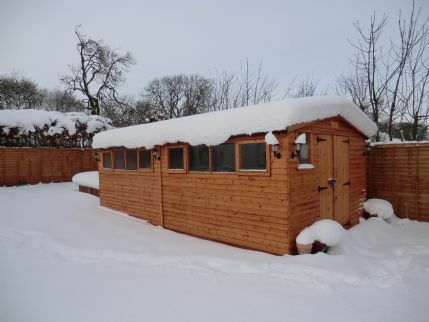 They board in Keegans Cabin and go out in the runs in the garden if its nice weather or in the indoor play pens. 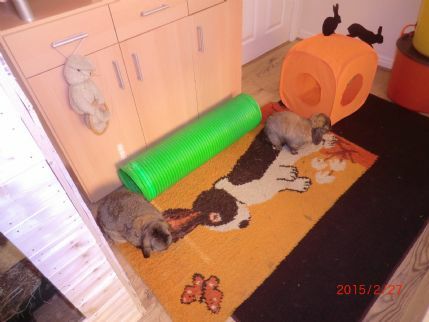 They have bunny toys galore and are always safe and secure, very well looked after and I wouldn't dream of taking my 2 anywhere else. All rabbits are catered for as Mike & Maysie are very experienced in all aspects of rabbit care and have special needs bunnies of their own. You couldn't leave your bunnies in better hands. 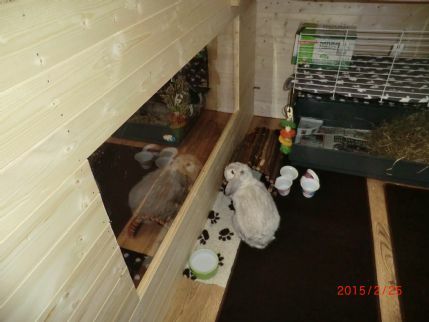 My two rabbits, Truffle and Fudge, have been taking their holidays with Tuckerbunnies for almost 2 years now. We travel over an hour from Leeds to get to Tuckerbunnies, as I haven’t found anywhere else that can accommodate them to the same standard. 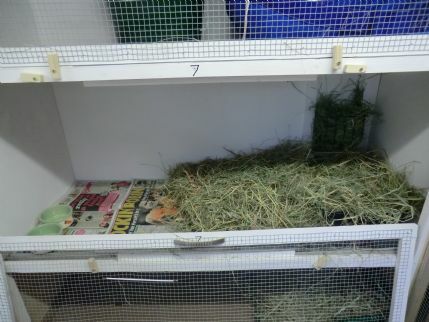 They are free-range house rabbits, so I just couldn’t contemplate sending them anywhere where they would be caged, and Tuckerbunnies’ indoor setups are ideal. 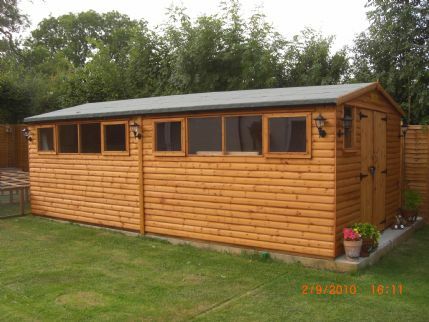 I’ve also seen their outside boarding shed, which is purpose-built, and would be happy for them to say there in the warm weather. Anybody could stick a rabbit in a hutch for a week, feed it and clean it and call it boarding. But what sets Tuckerbunnies apart is that they so obviously care about the rabbits entrusted to them. Whenever I collect them, they have little stories to tell about what they’ve been up to – it’s obvious that they’ve spent time with getting to know them. 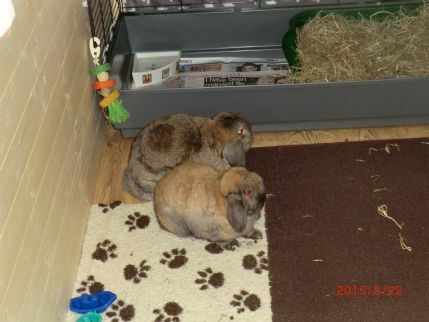 Given that they also have more than 20 rabbits of their own, several of whom have various health issues, they are also very experienced in caring for rabbits under difficult circumstances – I wouldn’t trust anybody else to make decisions for Truffle and Fudge while we’re away, but I have absolute confidence in Tuckerbunnies be able to deal with anything that comes up. 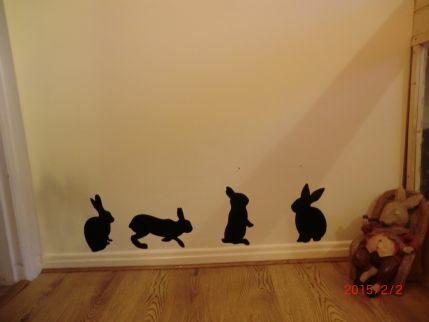 I really couldn’t recommend Tuckerbunnies more highly – the only downside to sending our rabbits there, is that sometimes they’re a bit grumpy when they have to come home again…..
We are 400 yards from Scotch Corner Services on the A1 in the little village of Middleton Tyas, Richmond, North Yorkshire, DL10 6PE. 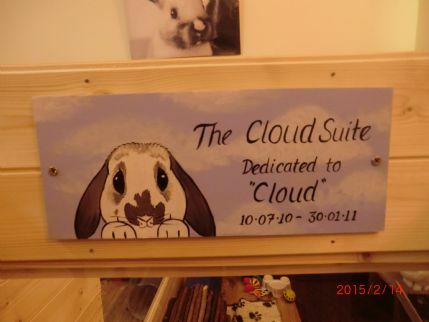 Tuckerbunnies Bunny Boarding covers North Yorkshire and the North East. We are Closed Christmas Eve, Christmas Day, Boxing Day and New Years Eve and New Years Day.